Is The Big Yamaha STAGEPAS 400BT PA System Bundle Truly Portable? The Yamaha STAGEPAS 400BT Portable PA System is a kit that should provide a great unboxing experience as much as a great performance. 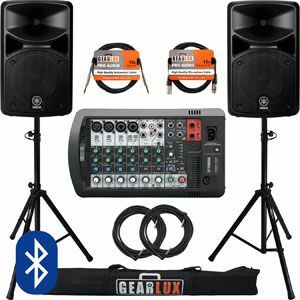 There are some portable PA sound system bundles that provide a couple of extra accessories within a small, compact package. This one goes all out with lots of different features – from the mixer and stands to the cables. There are lots of great claims here about the portability of this product thanks to the clever design. Is this the case, and can users also get a good sound from the speakers? 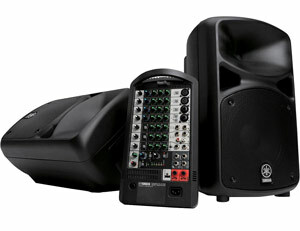 Is The Yamaha STAGEPAS 600I Portable PA System The Portable, Versatile Device That Is Advertised? There are some interesting features to the Yamaha STAGEPAS Portable PA System that make it stand out, such as the 680W power output, the detachable 10-channel mixer, simple 1-knob EQ for greater ease of use and the digital connections. According to the designers of this PA, this is an “attractive, compact package” with the ability to provide the sort of portability that roadies would apparently not “ever dare to dream of”. This is a massive statement that makes this system sound amazing but are real musicians showing this level of enthusiasm in their reviews? Music has a cool and placating effect that can make you forget your troubles for a while, Yamaha STAGEPAS 600I Portable PA System is a powerful acoustic system that will keep listeners entertained for many years to come. 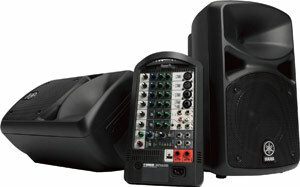 Setup is fast and easy usually taking less than 5 min, all without sacrificing the machine’s sound quality. It packs 680W of power and delivers a crystal clear sound that will grasp your attention. Whether you’re planning to use it for simple music rehearsals, school band vocal training or the church, Yamaha 600I would serve its purpose and even surpass them. 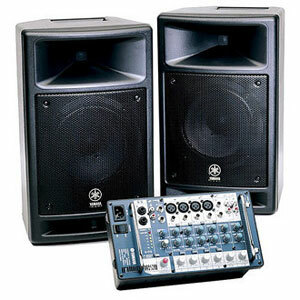 Yamaha STAGEPAS 300 portable PA system was especially engineered to provide solution to smaller performances of presenters, performers, musicians and speakers while making it look professional and with high fidelity. This Yamaha PA system features two amplifiers with 150 watts of digital power and completing the system are two passive loudspeakers. The one loudspeaker has an accessory compartment for neatly storing the speaker cables and other accessories. It has EQ or tone controls and digital reverb onboard the mixer.